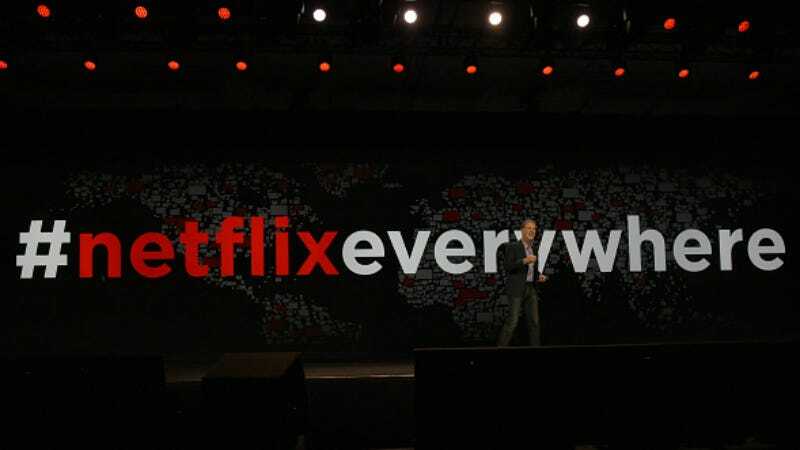 With an expansion early this year, Netflix now reaches basically anyone with an internet connection. Keeping its service running smoothly and efficiently with that many customers is a tall order, so Wired took a look and the hardware and software keeping our binge watching ticking. “The moment Daredevil premiered, Netflix greeted its users with eight header image variations of Matt Murdoch and friends, shown to customers in eight identically sized chunks. Netflix immediately began tracking which top shots inspired the most streaming. The full article is a worthwhile insight into the technical and legal hoops Netflix has to jump through to operate all around the world, especially given the tangle of licensing agreements the company has to work with. But it also provides a moment for pause: with Netflix’s global growth, and its obvious push to buy more and more original content, a future definitely exists where Netflix becomes the only big buyer of TV shows around. Sure, for now, Netflix is the cheap, friendly alternative to mean cable companies, but that might not last forever.